Prothane provides you with additional opportunities to “snug up” your suspension with heavy duty Prothane “C” Bushings, for use in the “jaws” of Ford strut arms. 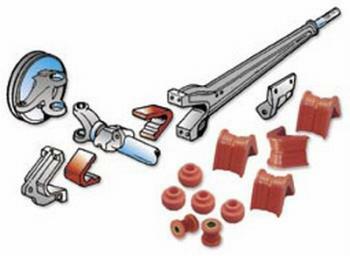 These components help provide a responsive, stable ride and eliminate the “wandering” associated with worn stock bushings. Different degrees are available for varying ride heights.